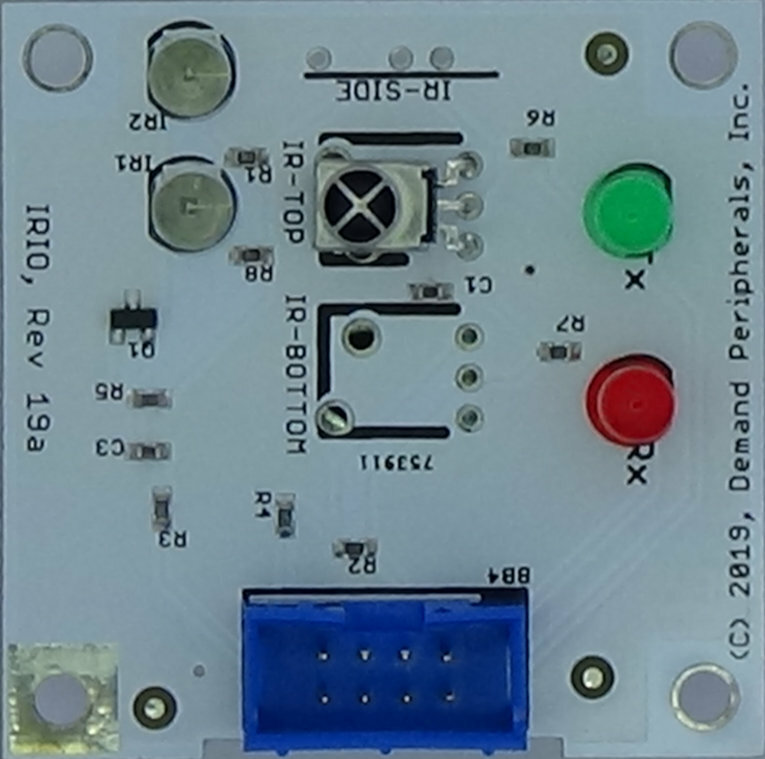 The IRIO card works with a Baseboard FPGA card to send and receive consumer IR packets. The IRIO card and matching FPGA peripheral can send and receive IR commands to and from most consumer IR equipment using 32 bit packets formatted using the "NEC protocol". A few IR remotes use timing and all 32 bits but most IR packets have a 16 bit address followed by an 8 bit command and then the logical inverse of the command byte. You can find a list of the most common IR devices and their addresses and commands here: http://lirc.sourceforge.net/remotes/. The address is given as the 'pre_data' value and the commands are listed by function and value. Note that, as expected, the second byte of most commands is the inverse of the first byte. The schematic and layout of the IRIO are shown below. 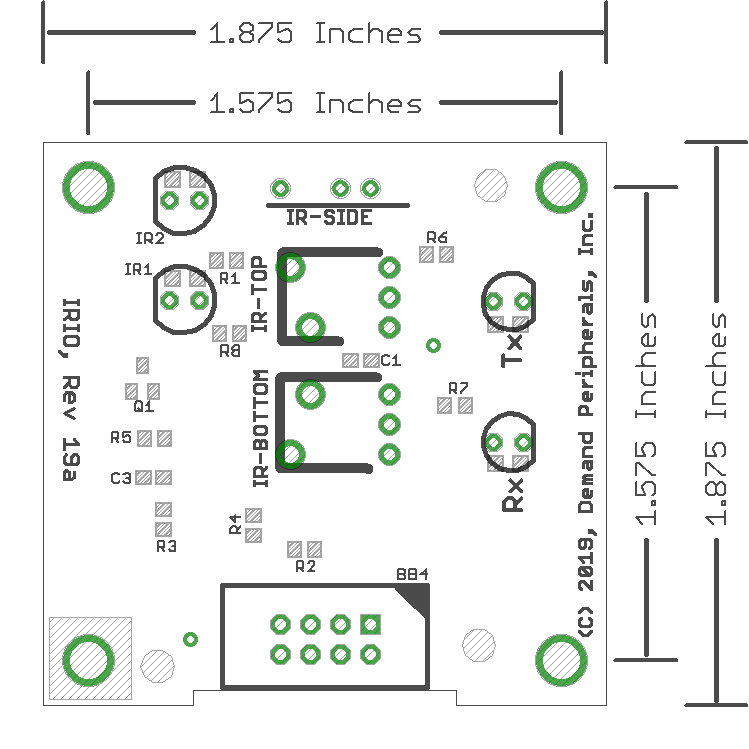 The Eagle schematic file is available here: irio.sch and irio.brd. The bill-of-materials file is available here: irio.txt.